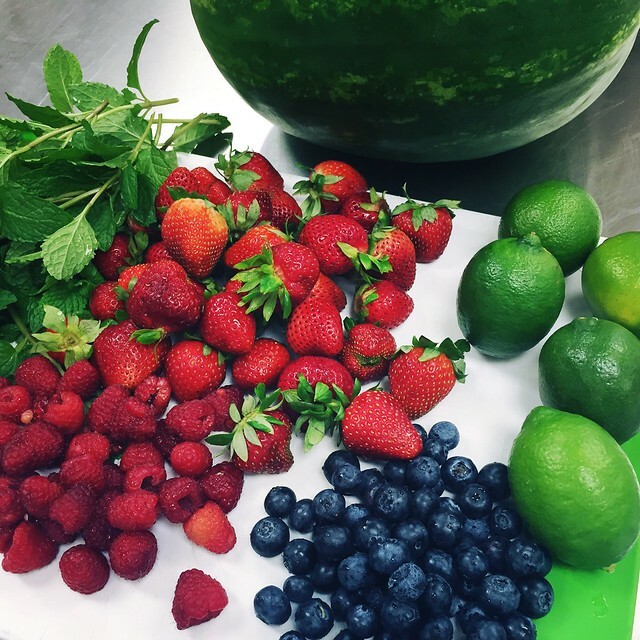 We were having a potluck at work so I searched Pinterest for a recipe and came across this Mojito Fruit Salad recipe from Iowa Girl Eats! 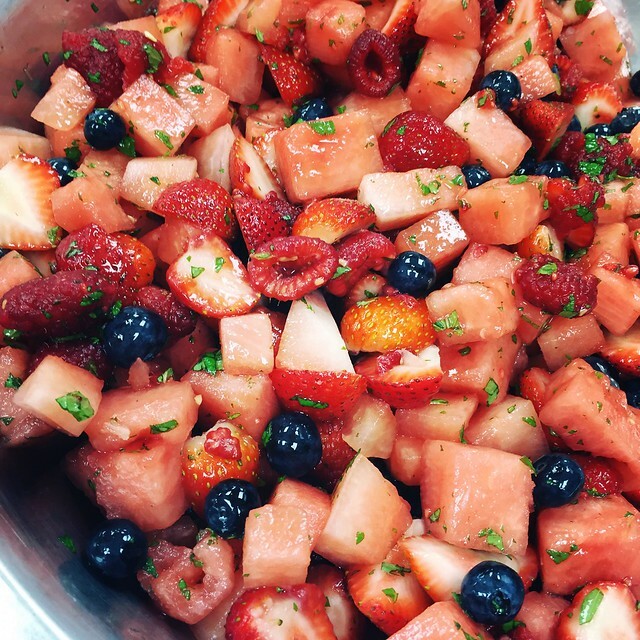 It was incredibly easy to make; watermelon, strawberries, raspberries, blueberries, mint, lime juice, and a sweetener (I used honey); and very popular (everyone was asking for the recipe)! When shopping for the ingredients the grocery store was out of cut mint so I popped over to the garden shop and bought a sweet mint plant! I'll be planting soon it along with some other plants/seeds I have been buying! I'm very excited it's gardening time again!